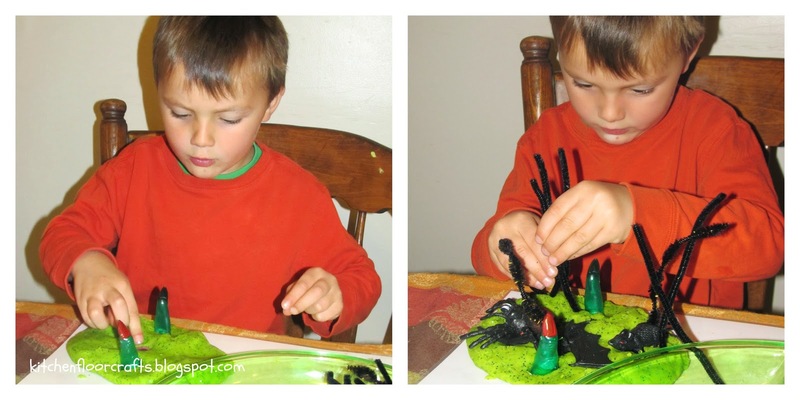 We had so much fun with our Room on the Broom post that we decided to continue our witchy themed fun. We found a pack of "witch fingers" while doing some shopping. 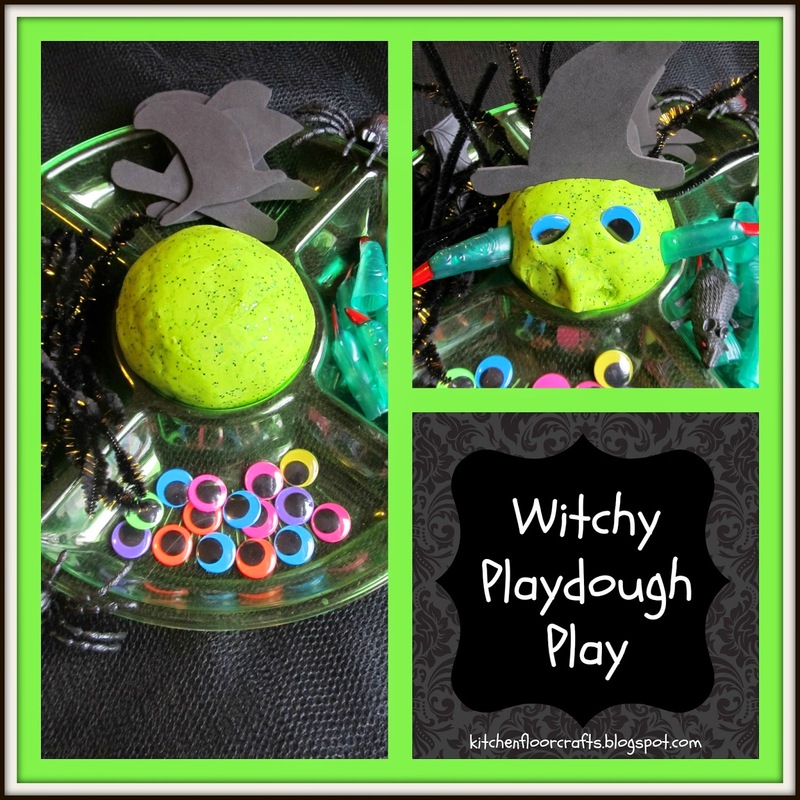 Big Brother and I instantly got excited about the idea of some witch themed playdough play. To begin with I made a batch of basic cooked playdough. I dyed the playdough a bright green color by mixing in green and yellow food coloring. 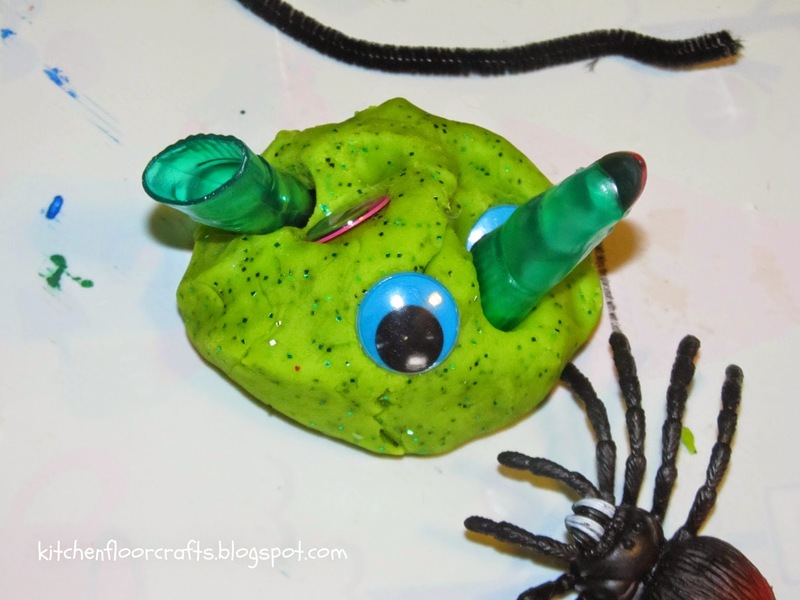 After cooking I kneaded in about 1/4 cup of green glitter for a little extra fun. 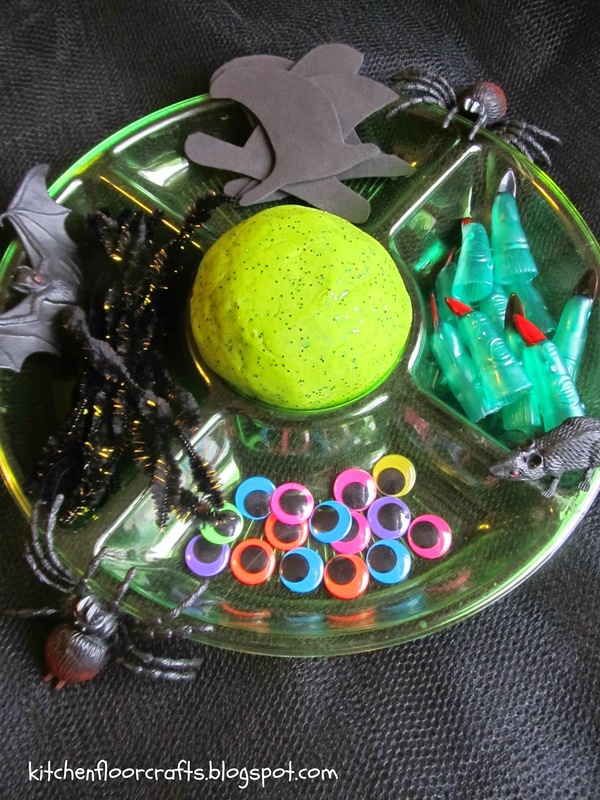 For the invitation to play I set out a tray with colorful goggly eyes, pieces of black pipe cleaner, foam cut out witch hats, and witch fingers. 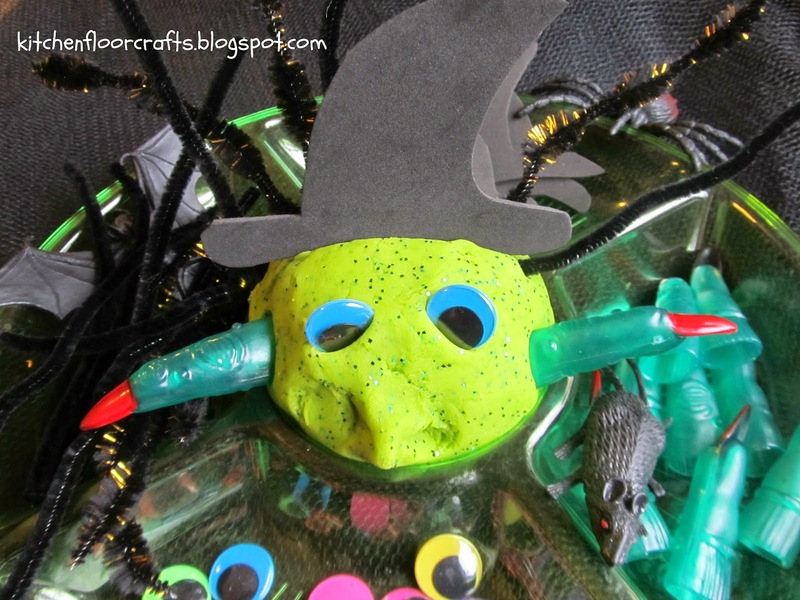 We also added some Halloween creatures one might find with witches, such as spiders and bats. The boys were eager to get started. At first Big Brother just played with adding the materials to the playdough in unusual ways. But later he worked on creating an actual witch. 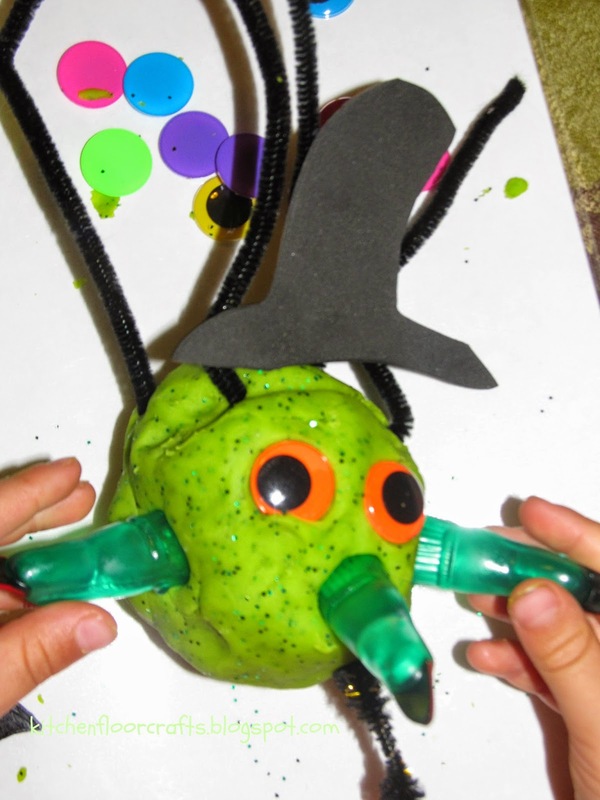 His finished product included using the fingers as legs, arms, and a nose. 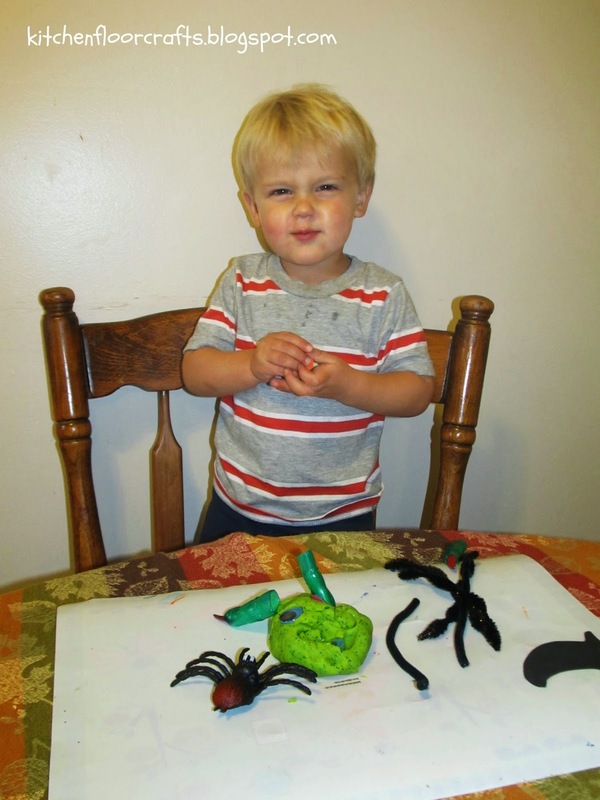 Little Brother mostly just enjoyed squishing the different materials, especially the spiders and rats, into the playdough. Of course, as often happens, I couldn't resist trying too. 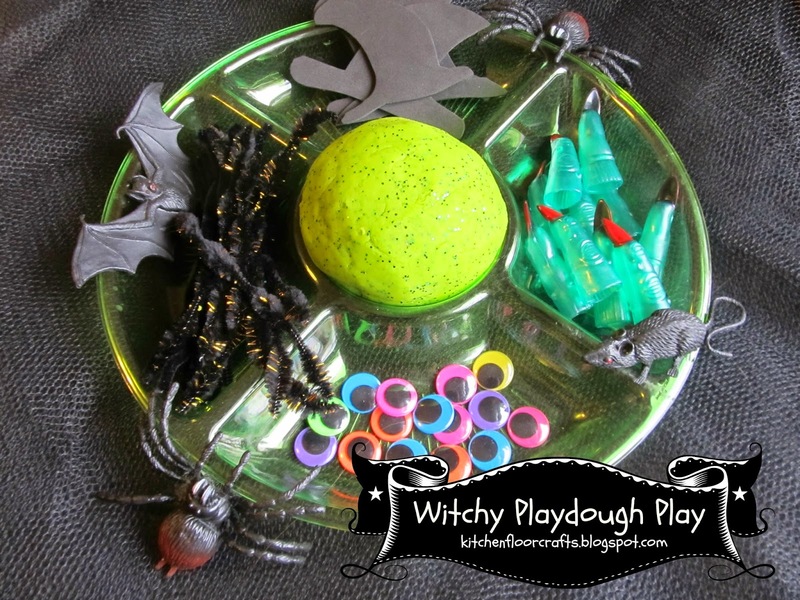 What fun ideas would you add to our witchy playdough play tray? 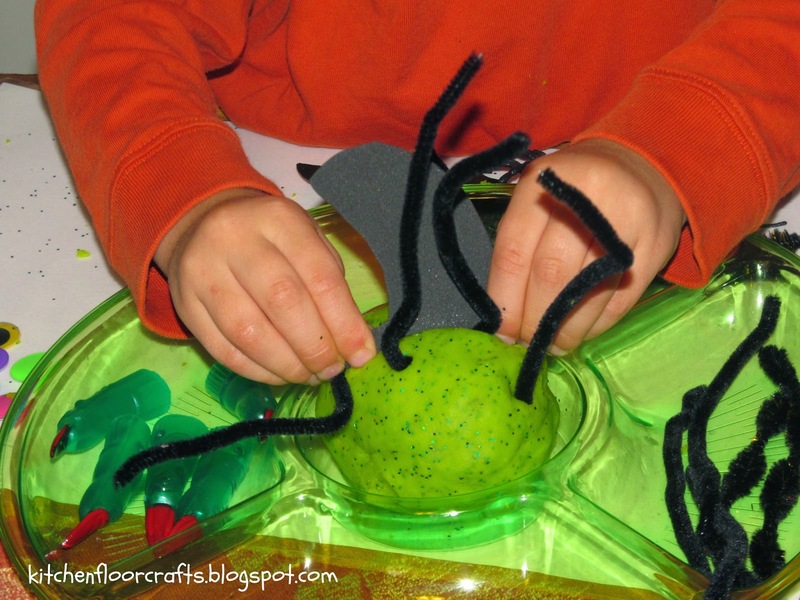 Do you have any Halloween loving kids who would love a little Halloween sensory play?